Rather than clutter up the website with masses of outdated news articles and information that may be no longer quite as relevant, we have moved all the 'historical' information to this page, in date order. Yet again, another success - 3 hectic days, 15 club members exhausted - a huge thanks to all those that sacrificed their weekend to make this the success that it deserves to be. This is the first year that we've needed to restrict new member applications, so apologies to anyone that didn't make the grade this time around, and a big welcome to those that did! What a long 8 days, but hell, what an experience! Arriving at Heathrow with the .50s was a slightly nerve wracking experience, especially when BA decided that they knew nothing about the fact we were travelling with firearms! (Despite the fact we had phoned, checked, re-checked and confirmed that they knew prior to us leaving!) - the problem was heightened by the fact that they deemed the .50s as weapons of war and not sporting rifles - now this next bit may come as a shock to almost everyone here, but if it was NOT for G4S things would have been a lot worse, their supervisor, a young lad of Gurkha upbringing (his dad is a serving British Army NCO), he went above and beyond and dealt with BA on our behalf in a very professional manner and had the problem resolved in no time - thanks to his determination and by skipping out all the "middle men" and going direct to the head of BA security at Heathrow. Rifles finally checked in, after being x-rayed and inspected by customs and it was time to chill before the 9hr 50min flight to Denver. No issues at Denver at all, very pleasant US customs officer was more interested in the size of the chamber and thickness of the barrel than anything else! We were made to feel very welcome and whisked through both border control and customs very quickly. On arriving in Colorado springs we located FCSA UK member and World Championship veteran Scott W, Scott was alreay loading his ammo in his hotel room! We had set aside an extra day to get acclimatised, zero the rifles and stuff some ammo, this was made all the more easy by the amazing generosity of the stalwarts of the FCSA (US) who had brought with them a whole host of reloading gear for our use, presses appeared from everywhere, quickly fixed to tables and truck tow bars! - auto powder dispensers were pouring powder, whilst bullets were being seated with some incredible seating dies - made by one of the FCSA members - turns out almost all of them used dies made by Martin Listt!! 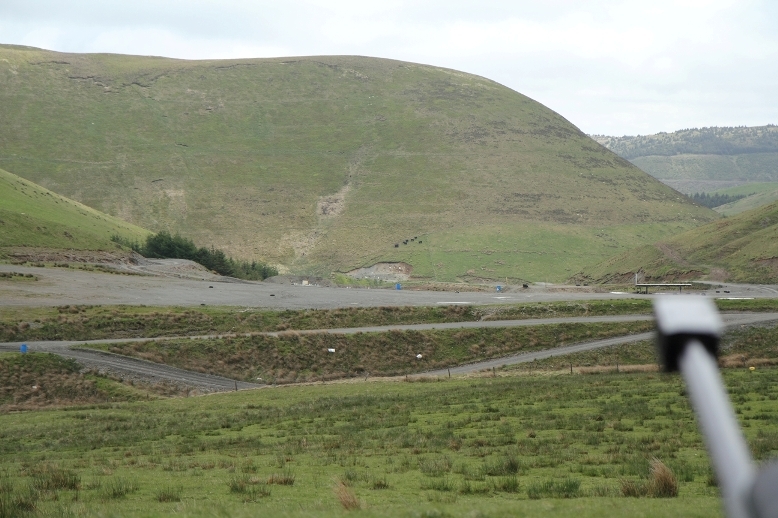 The 1000yd range was being re-done whilst we were there and just over half of the 100 firing points had already been redone - very nice setup indeed. So rifle zero's checked and adjusted (needed 1.5MOA off our UK zero's) it was time for a BBQ and beer - again spoilt rotten by our hosts. The PR took place at the 600yd point and consisted of 5 sighters (un marked) and then 15 rounds to score. The 15 rounds having to be shot in 10mins. Top honours went to the Barret team, who incidentally supplied all the ammo for the practical match!! Friday saw the start of the match "proper" and it was again a 6am briefing for a 7am start, early starts were essential as by early afternoon the temperature was pushing well in to the 100s!! The team shot well on the morning of the first day with Stuart shooting very consistently, along with myself - I was please to have shot 2 "greens" on the first morning (This is where the round goes through the previous spotting disc (1.5" circle disc) and our scores reflected on this. The wind was a total nightmare! - as those (Tim) who have shot at Raton will testify too, the wind flags all had a mind of their own! - flags to your right maybe showing a full value wind left to right, whilst the next flag would be blowing directly at you - no 2 flags ever blew in the same direction, with gusts in excess of 50mph being common through out the 2 days. The afternoon of the first day saw Chris and Malcom swap roles (as they were only shooting 2 classes each they shot alternately, one shooting one pulling the targets!) - Stu and I had the luxury of having "paid" target pullers for our targets. That afternoon Stu continued to shoot well, but my rounds started going astray and I could not figure out why - there was no pattern to it. One would go left and then one go right! (elevation remained constant) - this knocked me back in the standings quite a lot. Scott took 2nd in the International and 4th in Ironman! His shooting was very consistent and the experience of his previous WCs definitely stood him in good stead. A very long hard weeks shooting - I shot just over 300rounds of 50bmg in 3 days of competition. This month a group of FCSA UK members are making their final preparation for the 50cal world championships, due to be held in the first week of July. Each participant is self-funding the trip, at considerable cost. 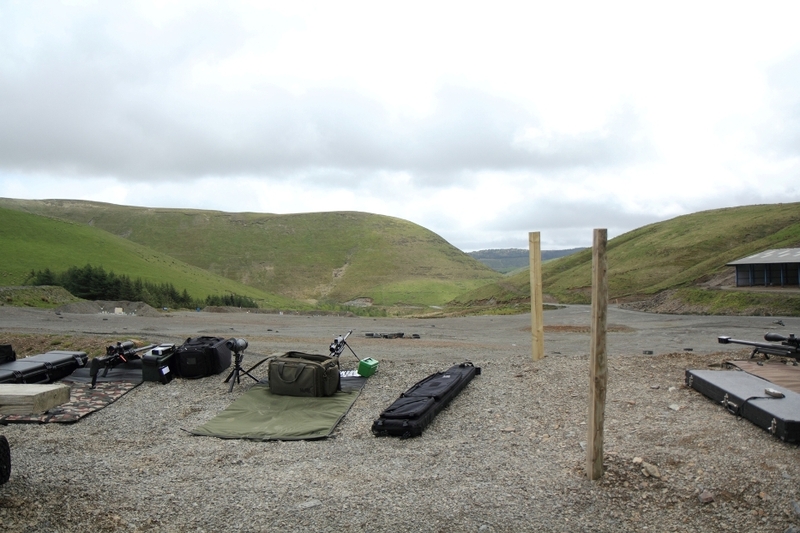 These last minute preparations include a zeroing day at Orion training, where the team Captain Mike along with Stuart will travel over to mid Wales a day in advance to construct target frames ready for the remaining shooters. They'll also be pretty busy reloading the ammunition required for both this zero session, and the shoot in the US. The club would like to acknowledge the incredibly generosity and warm heartedness of Bernie Montanna at EP ammunition, for donating a considerable quantity of 50cal reloading components, as well as servicing and upgrading one of the Fortmeier rifles. Bernie is a major UK importer of 50cal components, as well as the Fortmeier rifles. Many thanks to all those how gave up their weekend to participate in the running of our FCSA stand, it was of particular significance because 2014 is our 10th year as a Home Office approved club! We were literally inundated for all three days, and in that time handed out a great number of information packs and membership application forms, in fact judging by the number of recent emails I suspect we'd ran out by Sunday! Scott and Steve made the trip again this July, with impressive results. Steve came 2nd in the 'practical' shoot with a Windrunner, and Scott using his Nemesis rifle won 2nd place in the 'International' competition, 4th in the 'Hunter' class competition, 6th in the 'Unlimited' class & 8th in the 'Iron Man' competition! Scott has kindly written up a 'how to' guide for any UK 50cal shooter interested in attending the World Championships in the US, you can download a copy by clicking here. This year we have two entries for the 2011 FCSA world championships in the USA, as such we needed to verify that our competitors rifles were up to scratch, with a suitable zero and a batch of consistently loaded ammunition. The WMS facility offers shooters access to multiple targets - including paper target screens. Common distances being catered for are 100M, 200M, 750M and 1000M, although the potential to go back to nearly 3000M exists. We've had lots of requests for unbiased feedback on this facility, so here goes. If any member has anything to add then drop us an email. The range facility appears to be very much 'work in progress', for example the firing point pictured below left is constructed from loose shale/rubble, which has a tendency to fly into the face of spotters under the severe muzzle blast of the 50cal, however this is much less of a problem with smaller calibres and can be reduced is a piece of carpet or similar is placed under the muzzle break area. Compacted earth topped with turf would be a nice addition one day. Firing points beyond 500m(ish) are little more than the hillside itself, which is fine for most types of shooting - just don't expect any wooden clad firing pits as per MOD ranges. Due to its location, and the topography, wind is significant factor at times. Several visitors have since reported that the wind seriously tested their abilities, making the process of zeroing a new rifle & scope combination a little tricky at times - therefore I'd suggest you determine your zero before making a booking - this would no doubt help put the site operators mind at ease, knowing that the majority of impacts are going to be well within the target area. There is the option to zero at lesser distances, however at the time of writing I'm not sure if the targetry is suitable for 50BMG rifles. "If you can shoot well here, you can shoot well anywhere"... this was a phase that was coined on more than one occasion. You need to be lucky with the weather to make the most of your booking. Some might argue that we should all learn to shoot well in any condition, which is fine for the military, but for most civilians who simply want to test equipment or ammunition then this is not necessarily desirable. How does it compare to Sennybridge or Warcop? Well the big advantage of the WMS facility is that you have the option to check your targetry whenever you want (assuming any other party using the range is happy to cease fire). For military staff wanting to hone their tactical training then WMS is ideal. The only disadvantages are the firing points (although this does depend on your expectations), there are no ETR targets, but there are reactive targets in the form of steel 'gongs', so you at least get audible feedback, and the price - which might be a little prohibitive for some. Above: View of the target area from the 1000 yard firing point. Our first shooting show attended as exhibitors! Many thanks to all those people who put the hours in to make this happen, and to those visitors who expressed an interest and have subsequently joined our ranks. 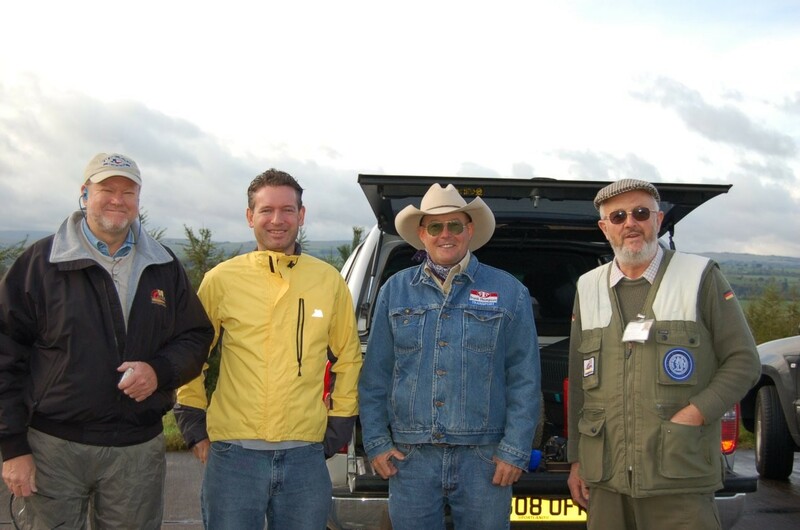 OCTOBER 2008: VISIT FROM FCSA USA OFFICIALS TO WARCOP! The FCSA (UK) were delighted to meet officials from the FCSA (USA), Reid Woodward, Barry Hamilton and Dr Bryan McCann, who attended not only our shoot at Warcop, but also made a quick visit to the FCSA (Swiss) to shoot in Switzerland. Edit: May 2011: in fact we had two entries who did rather well, thanks Scott & Steve! MARCH 2008: NEW MOD RULINGS ON CIVILIAN USE OF MOD RANGES. The following is based on the information given by Mr Glynn Alger & Chris Web of the NRA during a meeting with Civilian clubs at Bromsgrove, on Saturday 8th March 2008. 1. The new "High Energy zero test"
We have been advised by the MOD at Warminster, and now the NRA (on the 8th March), that users of MOD 'Field Firing Areas' - now termed 'Live Fire Tactical Training Areas' (LFTTA) - are NOT restricted by the 7000 Joule energy and 2900 Meter danger area template limitations that will be applied to gallery ranges only. A mandatory proof of zero test for 4500J - 7000J ammunition on gallery ranges has been introduced and is enforceable from the 1st April 2008, therefore a 'High Muzzle Energy' RCO must be present at each and every shoot where a rifle and ammunition combination that has a muzzle energy of over 4500J is used. 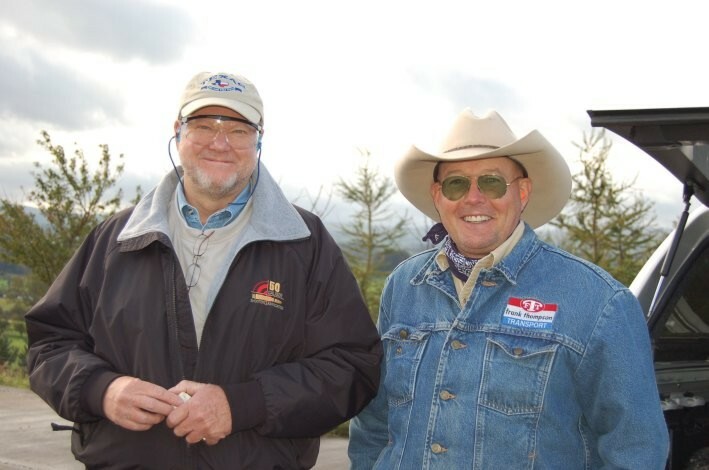 The HME RCO will require that the appropriate shooters undertake a quick zero procedure at 200 yards, the HME RCO will then sign each target to indicate that the shooter has been cleared for that range, on that day, with that rifle - and can then proceed to longer distances than 200 meters. Unfortunately this proof of zero only lasts for that one day. Targets will be available for download from the NRA soon. Not sure if your rifle is over 4500J? Click here for a simple ballistic calculator - print out the bullet drop table if you can't memorise it. Many ammunition types are over this limit, all you need to do is push a 170gn bullet at 2961 feet/sec and you are over the limit by 1 joule! It is believed (although awaiting written confirmation), that if the range is less than 200 meters then no zero process will be required for those rifle/ammunition combinations that are in the 4500 - 7000J range. The FCSA UK now has most of its RCOs 'upgraded' to this new standard (May 2008). If you are a member and a qualified NRA RCO but still do not have the HME qualification then please contact the club Secretary or Chairman ASAP. From the 1st April the FCSA UK will begin a process that will certify each member as a competent and 'safe shooter', in accordance with new MOD/NRA requirements, we have until January 2009 to complete this task, after which it will be a mandatory requirement for all users of all MOD ranges, including Field Firing Areas. Essentially all this will mean is that each shooter needs to demonstrate that they are capable of operating their rifle in a safe manner, the club Chairman will then sign each certificate accordingly, this will be renewed each year assuming the member can demonstrate the level of competency required by the MOD and NRA. This certificate is totally independent from the 7000J zero test as described above. More information will be released soon, however copies of the certificate can be downloaded from the NRA website (we are informed). Please follow this link. 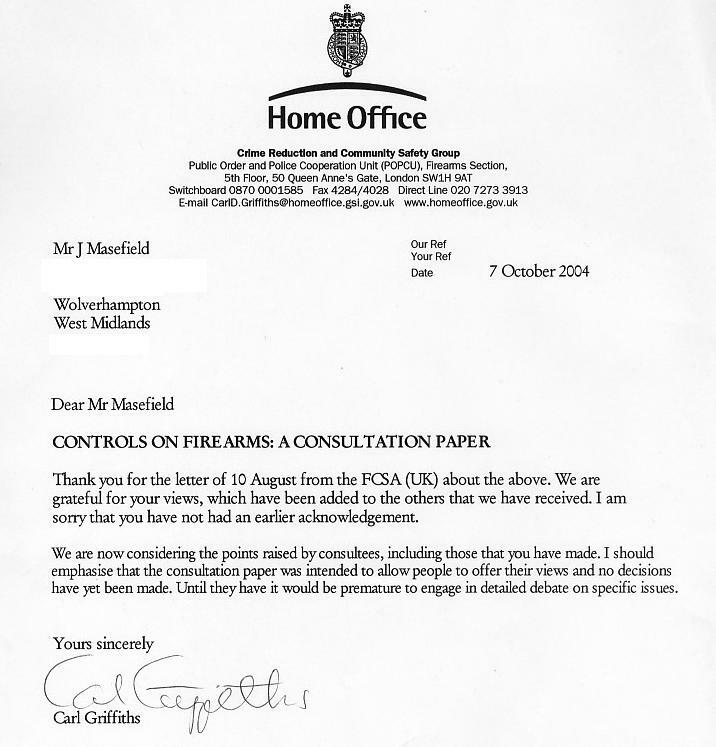 Read the Home Office consultation paper and then our response. Well we still need to increase our membership so may I suggest that we try and make contact with as many 50cal shooters and clubs in the UK, maybe using this site. If you have the e-mail addresses of other 50cal owners please ask them to contact me.